What happened this weekend? A few things stood out. The first is Wisconsin’s destruction of Michigan State. Wisconsin had two things that set them apart in this game. 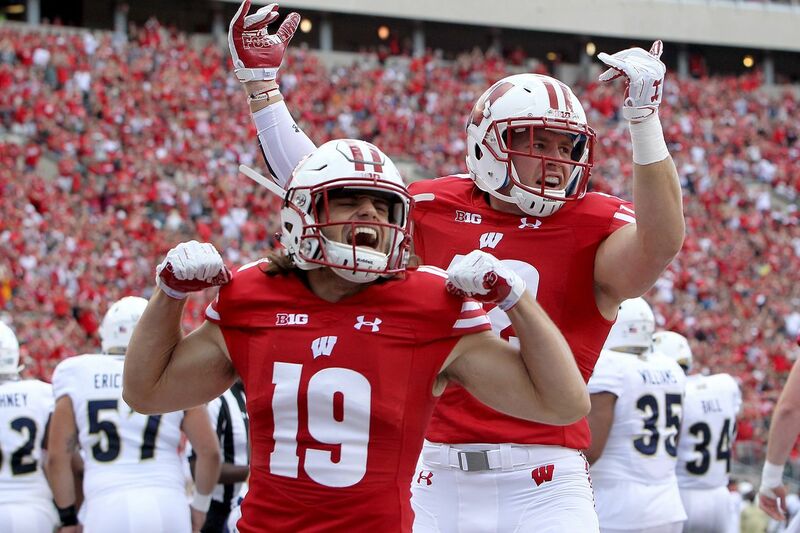 They had an exceptional pass rush, and they had a pretty decent passing game led by their redshirt freshman Alex Hornibrook. The Badgers have now beaten two top 10 teams. More on that later. The second was how bad Iowa’s offense looked against Rutgers. Maybe it’s just hard to play football in New Jersey, but Iowa’s quarterback CJ Beathard third didn’t look crisp and the offense had no fire or no spark. The Hawkeyes don’t have any game changers and it shows. Rutgers lost their best playmaker, Janarion Grant, otherwise Iowa might not have been so lucky. Third, the firings have come early this season. Les Miles was fired from LSU, as was his offensive coordinator, and Ron Turner was fired from Florida International. Notre Dame’s defensive coordinator was also fired. Given the circumstances I can’t blame administrators for any of these firings. The Big Ten West outlook has completely changed. Wisconsin looks like a potential contender for the Big Ten title, while Iowa looks like they’re going to have a rough season. It isn’t nearly the doormat it was thought of throughout the off-season and that’s a good thing for Nebraska. The Orange and Blue start their Big Ten season in Lincoln next Saturday. The first week of actual classes didn’t help out the grades. Northwestern simply couldn’t contain the Cornhusker offense. The Nebraska soccer team (8-4-0, 2-2-0 Big Ten) split its weekend road trip after falling to 16th-ranked Penn State, 2-1, at Jeffrey Field on Sunday afternoon. What went right and went wrong against Rutgers? Which stats can help us understand what happened in Iowa's game with Rutgers yesterday? There’s only one place to put the blame for this one. It’s fair to be disappointed with yesterday’s outcome, but this team is improving each week. A roundtable discussion of a huge win in East Lansing. Lots and lots of LSU, mostly because Les Miles was a really fun guy to have around and he’s been (temporarily?) replaced by Ed Orgeron who might even be more magical. The clock ran out on Les Miles twice in one weekend. It’s hard to imagine a national championship coach’s 12-year tenure ending more cruelly yet fittingly than that. And the end has finally come. The downfall for Les Miles was undoubtedly self-inflicted. No matter how likable he was, how many games he won in the past or how often he ate grass, Miles stubbornly refused to evolve on offense. By parting with Les Miles, the Tigers sort of joined the early-firing trend, and sort of didn’t. Here’s what we know now about what happens next. LSU fired Les Miles after 12 seasons, and a boisterous local with impressive interim experience takes his place. FIU’s announcement of Turner’s dismissal could not have come at a worse time. Scott Frost promised big numbers on offense when named the head coach of the UCF Knights last year and against FIU his offense delivered as the Knights had 501 total yards of offense, zero turnovers, and dropped 53 points on the road for a 53-14 win over FIU. Alright. Alright. Alright. Yesterday sucked. There’s really no other way to put it. It’s never fun getting obliterated by another team, much less those lying, cheating F**ks from Ole Miss. The Hogs and Ags didn’t have a nail-biter, but both proved their worth in Arlington. Narrative crowded out an accurate assessment of the game. The Top Whatever is Spencer Hall’s ranking of only the teams he feels like ranking at this time. One of the oak trees at Toomer's Corner was set on fire following Auburn's win over LSU on Saturday and police arrested a 29-year-old Auburn resident on charges of desecration of a venerable object. If you want to read a site that gives you an honest run-down of health reporting, this is it. CNN reports: “Exercise can cancel out the booze, says study.” No, it did not. What the study, in the British Journal of Sports Medicine, stated was “We found a direct association between alcohol consumption and cancer mortality risk.” And – repeat after me – association ≠ causation. So a statement of causation – such as “exercise can cancel out the booze” – is an overstatement.